It is no easy feat accommodating a group of hungry international artists! This is why we call for patrons of the arts who seek to support our plight and obtain a custom made artwork in return. Donate a workspace for the artist to use as a studio/atelier. 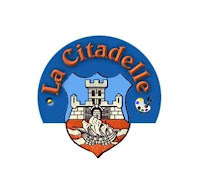 A donation to La Citadelle Art is recognized as exempt under section 501(c)(3) of the Internal Revenue Code. Not only will you be sponsoring an artist, but you will be promoting the exchange of culture between nations, enabling a deeper sense of understanding between nations, and encouraging a peaceful and creative exchange of ideas.